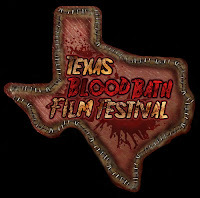 Our friends Andrew & Dione Rose at Blood Bath Entertainment in Texas have announced this year's dates for their two big indie horror film festivals. Based on the audience reactions to earlier festivals these events are not to be missed. Horror films must be directed by a gay filmmaker *or* of gay interest in subject matter. Horror films of all sub-genres. More details are available at the links below. Contact festival founder Andrew Rose at andrewrose@dakzoo.com for even more information.